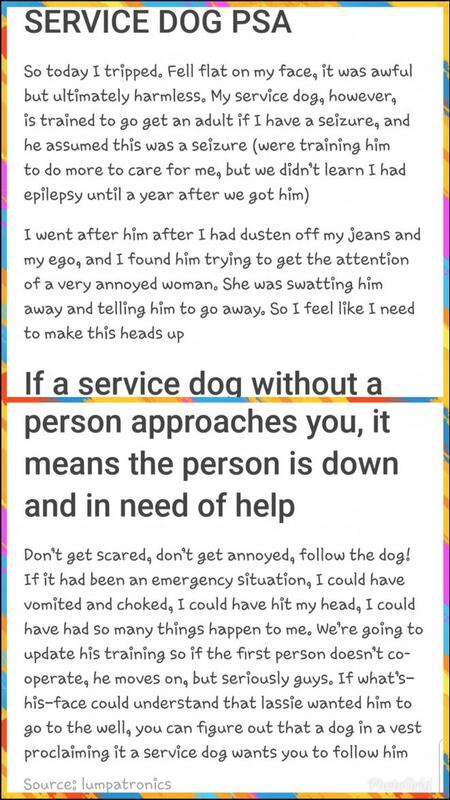 A young woman’s post about her service dog being ignored when he was trying to get help is going viral and helping people understand what to do if they see a service dog approaching them alone. Tessa Connaughton has epilepsy and her dog Raider is trained to go get help if she has a seizure. Recently, while out shopping, Tessa fell down. She wasn’t having a seizure, but Raider thought she was and went off to alert someone. The incident reminded her that although most people know not to approach a service dog when they are on duty and with their owner, not everyone knows what to do if a service dog approaches them alone.